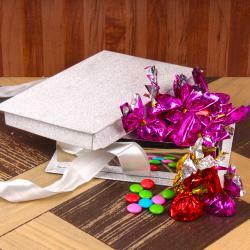 Product Consists : Special Happy Birthday Pop Up Greeting Card along with Gems Homemade Chocolate (Weight : 200 gms) in a Gift Box. The lovely message with love to your love one in unique style with this Birthday Wishes greeting card. It is the Best gift for your love one with cheerful surprise. 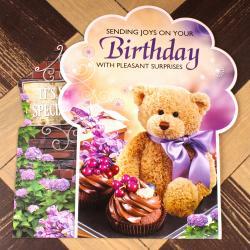 The Best way to express your emotions by sending a greeting card, Everyone loves to receive a card. The greeting card is still considered by most as the truly effective way of telling someone you really love and care. 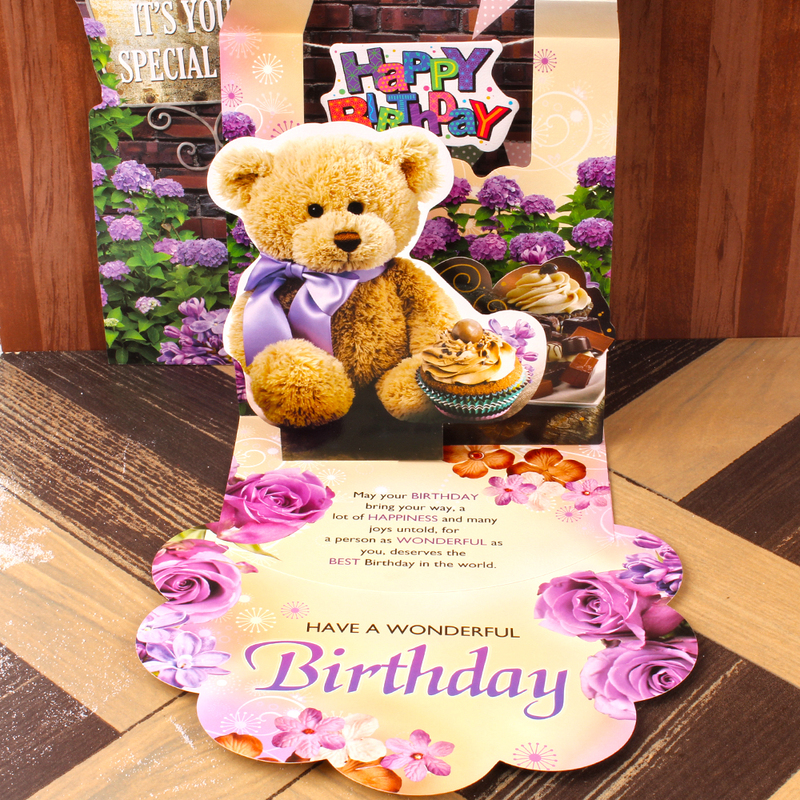 Let love be expressed to your dear ones in special way as you present this beautiful birthday card to her/him. Beautified with a lovely message, this card is sure to be an ideal way of telling your how lucky you feel to have them in your life. 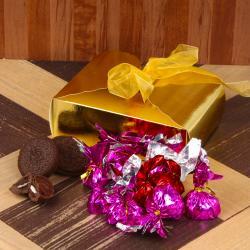 This combo serves as a perfect gifting option on someone, who loves chocolates a lot. 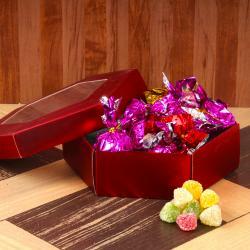 Attractive Gems flavor homemade chocolate is very delicious to eat. 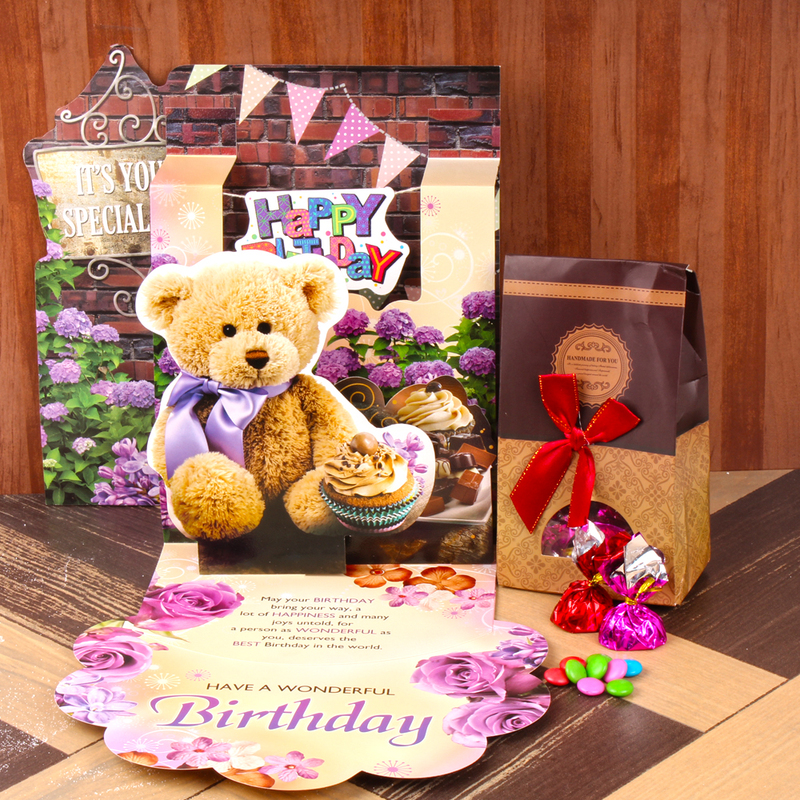 Product Consists : Special Happy Birthday Pop Up Greeting Card along with Gems Homemade Chocolate (Weight : 200 gms) in a Gift Box.